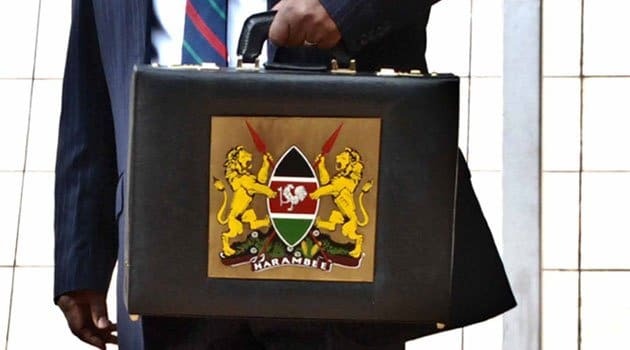 The 2018/2019 budget is out and the CS Henry Rotich has indicated that Kenya will spend approximately Ksh2.55 trillion. Reading the budget, Rotich noted that the country’s economy is likely to grow by 5.8% in 2018. The CS further noted that Key drivers will be agriculture, favourable weather and increase in exports. He further says that the economy generated 898,000 jobs in 2018. In a bid to achieve maximum revenue collection, Rotich has proposed increase in excise duty from 20% to 30% on private passenger vehicles whose capacity is more than 2500cc for diesel and 3000 cc for petrol vehicle, rubbing the honourable members the wrong way. The CS has also proposed 0.05% tax on cash transfer of more than Sh 500,000 betw financial institutions. A further increase of excise duty on mobile money transfer from 10% to 12%. He has also announced an increase from 25% to 35% taxation on imported iron material, in order to increase local consumption, same to paper products. On textile products, the minister proposed an import duty of 5USD or 35%, whichever is higher. In order to encourage locally manufactured clean energy sources, the government will levy 100% import duty on imported stoves. The CS has allocated Ksh3 million for securing Kenyan borders, Ksh9.2 billion for leasing of police vehicles and Ksh6.5 billion for police and prison officers medical insurance scheme. To cater for the deficit of teachers in the country, the CS has set aside Ksh5 billion. The government will use Ksh115.9 billion for building of roads, Ksh74.7billion for phase two of SGR, Ksh2.7 billion for Mombasa port, Ksh1.4 billion for airports in Malindi, Isiolo and Lokichogio. In a bid to boost the energy sector, the government has allocated Ksh12.7 billion for geothermal energy and Ksh4.8 billion for oil and gas exploration. In this year’s budget, counties will receive a total sum of Ksh376.4 billion. The government will use Ksh800 million in the next one year to clean the Nairobi river. Matters tourism, the CS has allocated Ksh340 million to tourism efforts in sustaining new markets, Ksh380 million to capital lending for hoteliers and Ksh325 million for restoration of Fort Jesus. In order to promote internal trade, the CS has directed that all procurement officers shall be required to procure items made in Kenya to promote ‘Buy Kenya,Build Kenya’. A procurement officer shall write a report with regards to items that cannot be sourced in Kenya. To promote transparency, all procurement officers will be required to publicise tenders on their portals indicating names of contractors, tender evaluation members, name of suppliers to whom tender is given, names of directors, contract price and contract period. Will CS Henry Rotich Be Fired After 26 Hours Of Grilling?